Update October 21 2015: iOS 9.1 has now been released. View the changelog for all the details. 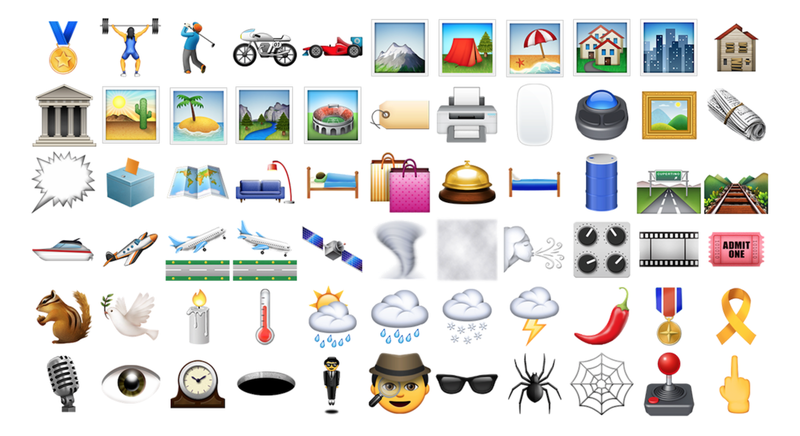 iOS 9.1, released yesterday as a developer preview, includes a bunch of new emojis, primarily from Unicode 7.0 and Unicode 8.0. 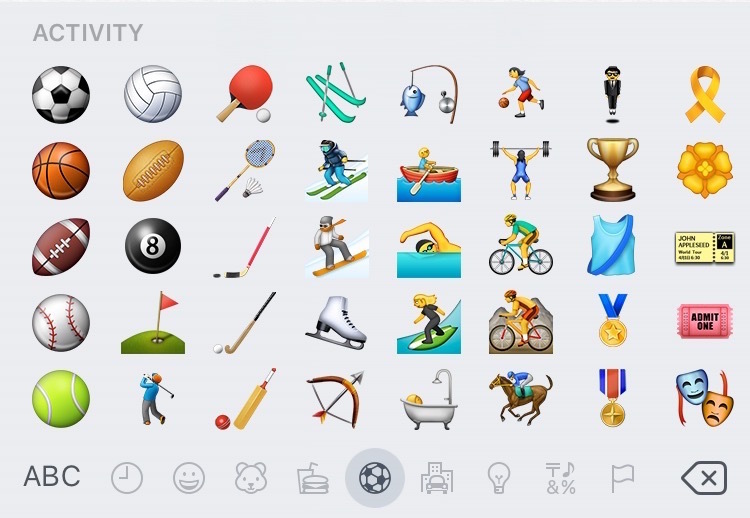 Updates include sports — volleyball and hockey; gestures — such as the middle finger and sign of the horns ("rock on"); as well as food items — such as a hot dog, taco, and more. Here is a brief look at what to expect, and come back for a full look at all the changes when iOS 9.1 is released in the coming weeks or months. New in this part of the keyboard is the upside-down face, money-mouth face, nerd, rolling eyes, hug (no more using the open hands sign), and thinker. 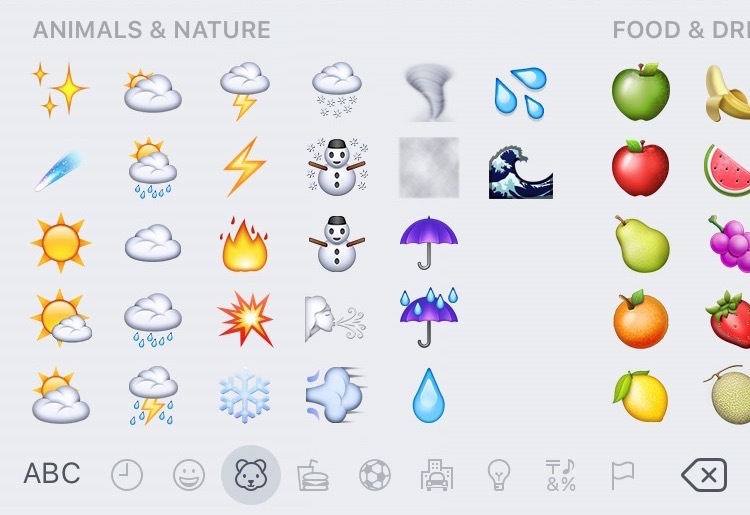 A range of new weather emojis will allow you to keep your friends updated with more specific emoji-weather-forecasts. Not shown in this part of the screenshot are new animals such as the lion or unicorn also in the Animals and Nature section. Even this small section of the keyboard shows a lot of new changes. Volleyball, golf, skiing, ice skating, archery, weight lifting, and everyone's favorite activity, levitating are shown below. In addition to these updates, a large number of other emojis have been added from even older versions of Unicode, such as the Yin Yang and Comet, which date back to Unicode 1.1 in 1993! These older characters have retro-actively been deemed worthy of a colorful "emoji presentation", although until now mostly stuck with their black and white text-presentation. 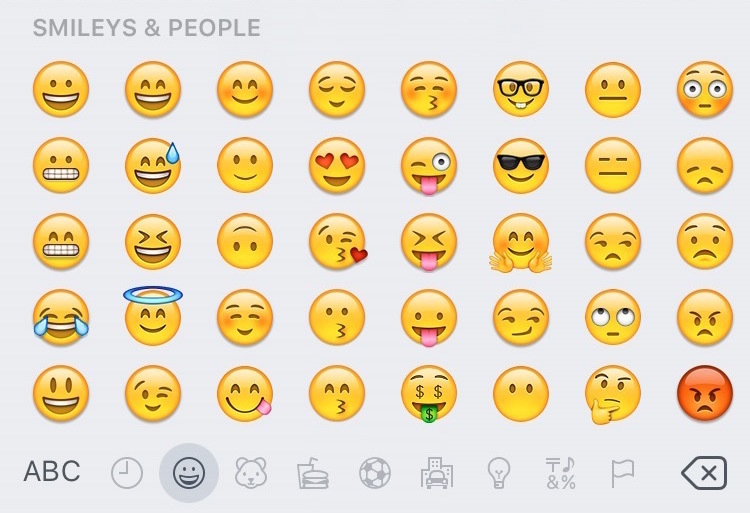 It's great to see Apple double-down on what appears will be the first operating system to include every single emoji in the Unicode Standard. More details will come in a separate article, closer to the public release of iOS 9.1. In the meantime, fire up the fast search feature on Emojipedia, and see if there's something coming for you. 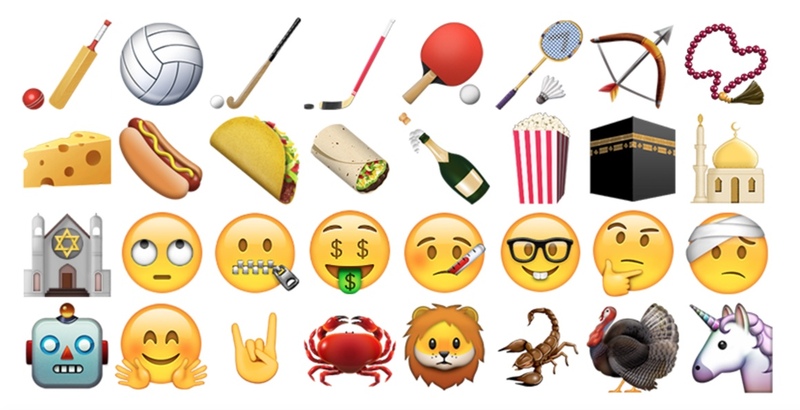 iOS 9.0 is scheduled to be released on September 16, and includes a range of new emoji flags. iOS 9.1 (the update that includes all these changes) does not yet have a public release date, but is likely to be in October or November 2015.